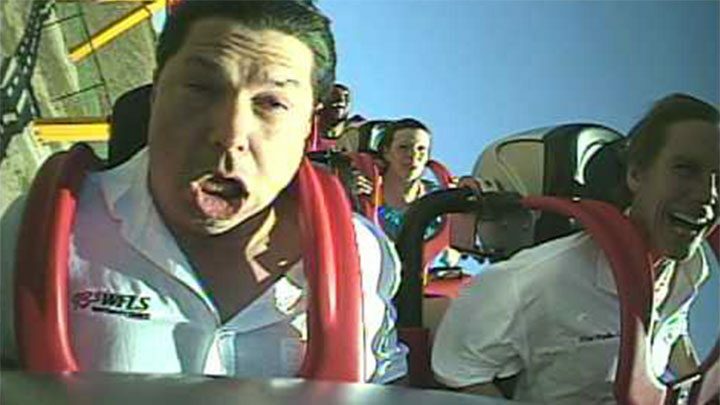 Despite describing it has the “biggest, highest, fastest” ride around, a theme park is Devon, England has banned visitors from screaming on the attraction. You can have fun, but not too much fun on “The Big One”, a rollercoaster in Bideford, Devon. Bosses have asked for no screaming or shouting on the 400m, 28-seater ride. A sign outside the rollercoaster reads, “This is a family ride – not a white knuckle thrill ride. Enjoy the views but we love our neighbours. Please do not shout or scream! Thank ewe”. The sign has come into place after the theme park had a five year dispute over planning permission with local residents who claimed the noise would be intrusive. While shouting and screaming are natural by-products of having a good time on a rollercoaster, it’s not clear how the theme park intends to enforce the ban. Perhaps some kind of roller-marshal that can aggressively “shush” people.